The "wallpaper" on my homepage is from the cover of my book The Risen Adam. AWARDS: Most Supportive Faculty Member, EGO, WSU English Department (1995); Best Graduate Seminar, EGO, English Department (1996); Outstanding Teaching and Scholarship, WSU Honors Program (1984); Excellence in Teaching, WSU Honors Program (1986). 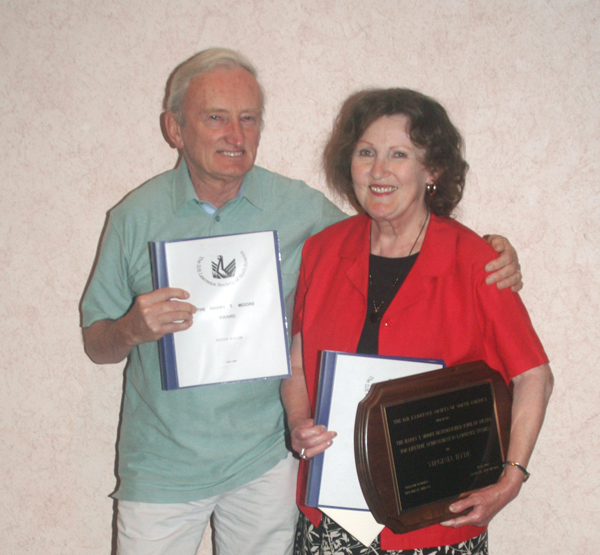 I received the Harry T. Moore Award for lifetime achievement in Lawrence literary studies (presented at the Tenth International Lawrence Conference in 2005); I also received commendation from the Lawrence Society at its Eighth International Conference, held in Naples, Italy (2001). I directed the Tenth International Conference and was a keynote speaker at the Sixth, held in Nottingham, England. I hold the ASU President's Medallion of Merit and have received awards from the AAUW and IOOF as well as research and travel grants. I held the Vilas Fellowship of the University of Wisconsin and Phi Kappa Phi's National Sparks Fellowship and National Gibbs Fellowship. 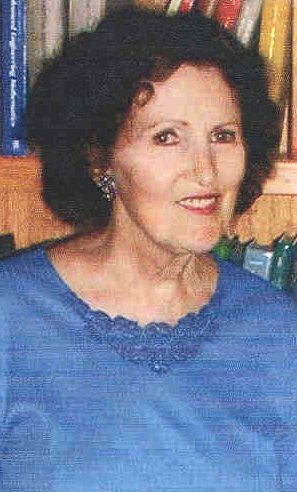 PROFESSIONAL ORGANIZATIONS: I am Past President of the Lawrence Society of North America, a scholarly organization allied to the Modern Language Association of America, and I was Director of the Tenth International D. H. Lawrence Conference in Santa Fe (2005). Some other professional organizations (besides MLA): American Conference for Irish Studies, Arthurian Society, Browning Society, AAUP, and WSU Association for Faculty Women. OTHER: I am a Past President of Alpha Mu Gamma and was elected to Mortar Board, Phi Kappa Phi, Sigma Tau Delta, and other honoraries. COURSES: I have developed and taught: Victorian Literature, Twentieth-Century British Literature, Nineteenth-Century British Literature, Arthurian Literature, Irish Literature, Survey of British Literature, Writing About Literature, and Expository Writing. Also Seminars in the Yeats Circle (with W. B. Yeats, Althea Gyles, and Florence Farr); D. H. Lawrence; George Eliot and the Bront�s; Robert and Elizabeth Browning; Irish Literature and Culture; the Oxford Movement (with Christina Rossetti and G. M. Hopkins); the Cosmological Imagination; World Writers of the 'Nineties (with Sarojini Naidu, W. B. Yeats, and others); and Medieval Women of Letters. I am also interested in historical and multicultural studies of myth and philosophy as well as of literature. SOME OF MY PUBLICATIONS: The Risen Adam: D. H. Lawrence's Revisionist Typology (Pennsylvania State University Press, 1992); "A Window to the Sun": D. H. Lawrence's "Thought-Adventures" (Cranbury, NJ: Fairleigh Dickinson University Press and Associated University Presses, 2008 forthcoming)--co-edited with Earl Ingersoll; Women and the Journey: The Female Travel Experience (Washington State University Press, 1993)--Introduction, co-authored with Bonnie Frederick and Preface by Catharine R. Stimpson; The Plumed Serpent (Penguin, 1995)--Introduction by Hyde, with Cambridge text by D. H. Lawrence, ed. L. D. Clark; notes by Clark and Hyde; Mornings in Mexico and Other Essays by Lawrence, ed. Hyde (in progress, scheduled 2008). Chapters and sections of books: in Women and the Journey: The Female Travel Experience (1993, as above); Images of Persephone: Feminist Readings in Western Literature (University Press of Florida, 1994), ed. Elizabeth T. Hayes; The Gothic Imagination: Essays in Dark Romanticism (WSU Press, 1974), ed. Richard Thompson; Approaches to Teaching the Works of D. H. Lawrence (Modern Language Association of America, 2001), ed. Elizabeth Sargent and Garry Watson; and D. H. Lawrence: New Worlds (Fairleigh Dickinson University Press, 2003), ed. Keith Cushman and Earl Ingersoll. Also over 30 articles on Arthurian and pastoral literature, Joachim of Fiore, Robert and Elizabeth Barrett Browning, George Eliot, W. B. Yeats, Althea Gyles, Florence Farr, W. H. Auden, Franz Kafka, Lawrence, and others (these articles appeared in Mosaic, Papers on Language and Literature, Victorian Poetry, Yeats Annual, Contemporary Literature, Modernist Studies, Cauda Pavonis, D. H. Lawrence Review, and other journals); poetry in Catalyst, Caravel, and elsewhere (received Katherine and Glendon B. Swarthout Award for creative writing); and an edited poetry book. CURRENT SCHOLARSHIP: I have been working on Mornings in Mexico and Other Essays for Cambridge University Press; it will include all the essays Lawrence wrote about American Indians while in the United States and Mexico. I have recently published two essays in D.H. Lawrence Studies (Seoul, Korea, 2004 and 2007)--also serving as guest editor of a special issue. I have two articles in a book from MLA, the national organization of university English teachers (New York, 2001), another in D.H. Lawrence Review (Austin, 2001), another on the significance of rose imagery in W.B. Yeats, Althea Gyles, and Lawrence (South Carolina Review, 2002); I have a piece on Florence Farr in Oxford's Dictionary of National Biography (the first update of this text in a century and the first listing of Farr); and I have prepared an essay for a volume on Lawrence's non-fiction prose, ed. Bibhu Padhi (of Orissa, India). I have a book manuscript in progress on the Yeats circle in the 1890s. SPEAKER: I was a keynote speaker at the Sixth International Lawrence Conference in Nottingham (1996) as well as speaking on W. B. Yeats and Lawrence at the Fifth International Lawrence Conference in Ottawa (1993). 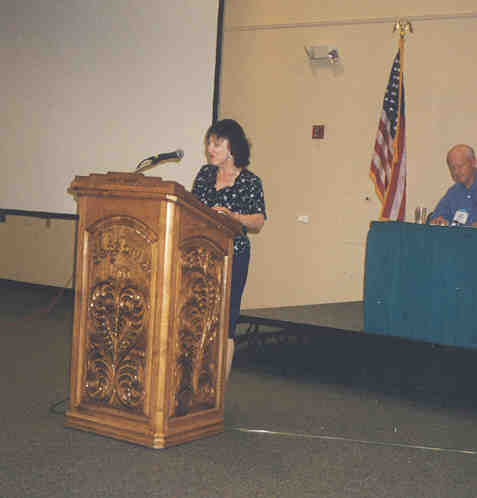 I spoke in plenary panels at the Seventh International Lawrence Conference in Taos (1998) and the Tenth International Lawrence Conference in Santa Fe (2005). I participate in other professional conferences, including those of the Modern Language Association of America, British Studies Association, and American Conference on Irish Studies. 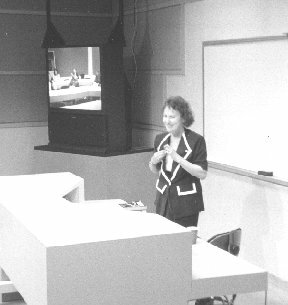 I was the Sixth Annual Honors Lecturer at WSU (1984). SERVICE: I served on the Dean Search Committee for Liberal Arts (2006) and on the Dean's Advisory Committee, WSU Honors Council (Chair), Chair's Advisory Committee, Graduate Studies Committee, Ph.D. Examination Committee (Chair), M. A. Examination Committee (Chair), Curriculum Committee (Chair); Endowed Funds Committee, and Chair Hiring Committee. I was Director of the English Department's multi-section literary survey/literary appreciation courses for 15 years. I am on the Editorial Boards of national literary journals. 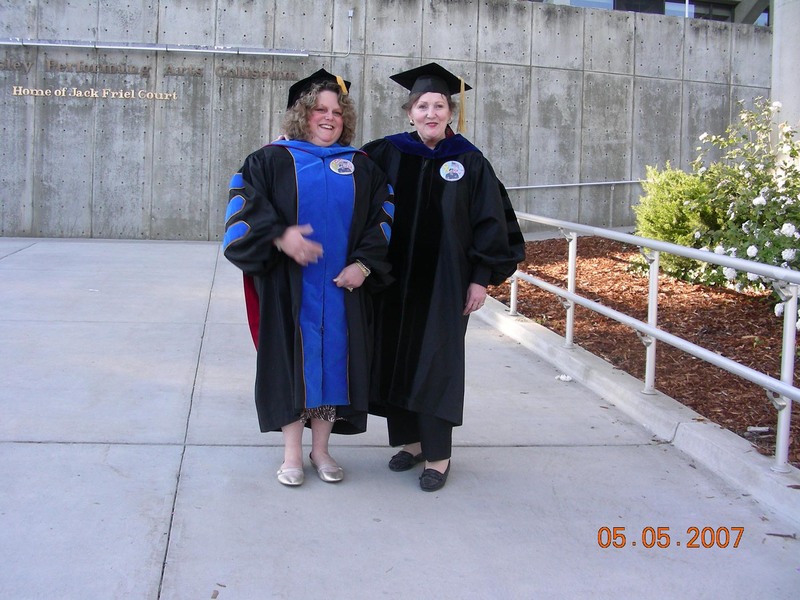 My husband, David Barnes, is a mathematician who received his Ph.D. from the University of California, Davis; he has retired recently after teaching for 30 years in the Math Department at WSU. As faculty members, we met one day on the WSU campus while eating ice cream in "Ferdinand's," centrally-located "creamery" that sells cheese and ice cream made by WSU. 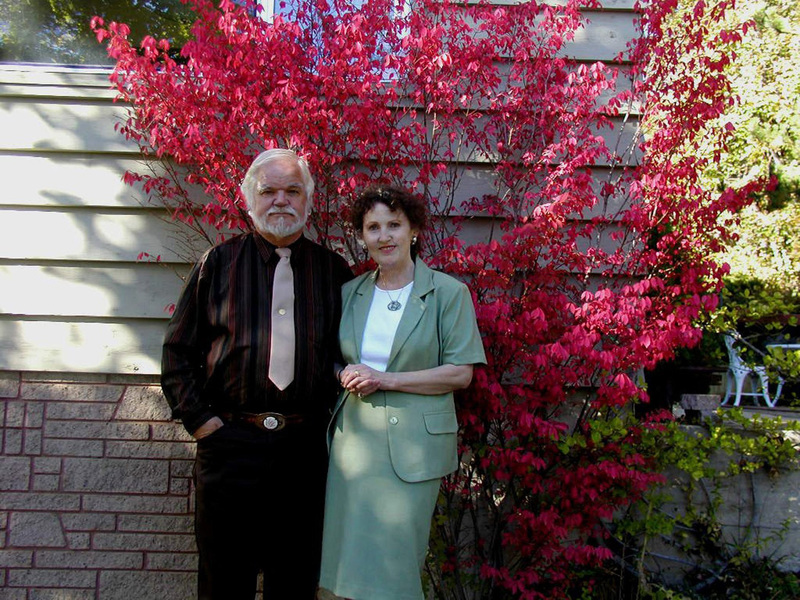 We were married in 1987 at the "K-House," interfaith center on campus, by the Rev. James Neilson. 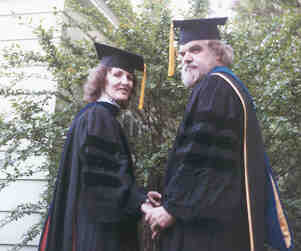 My husband-mathematician David Barnes and I had both "hooded" our Ph.D. students (1999). 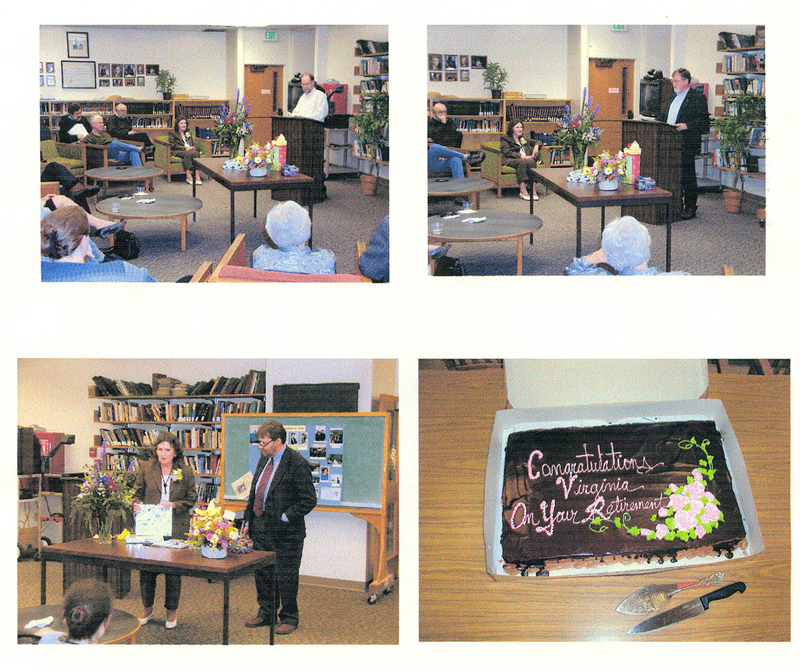 WSU English Department gave me a retirement party with various speakers (2005). Click here for some news clippings about other topics and activities.